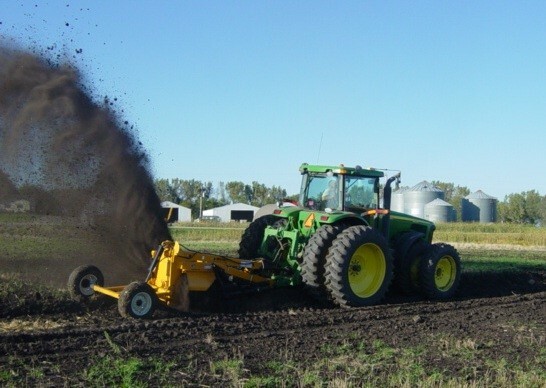 The model 3-PT 20 3-Point ditcher is designed to provide an economical way to make surface drainage ditches using your own farm tractor. 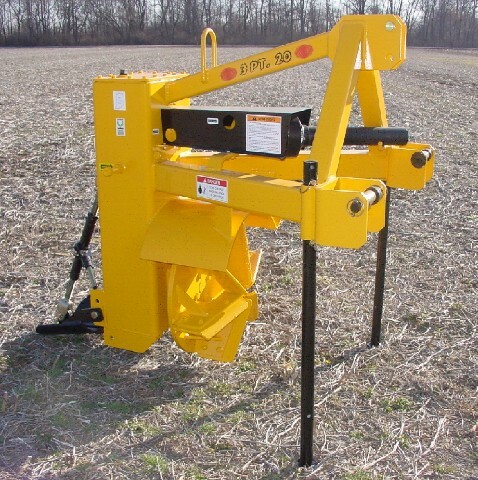 Like all Hurricane 3-Point models, the 3-PT 20 is equipped with parking stands for easy hook-up and disconnection. 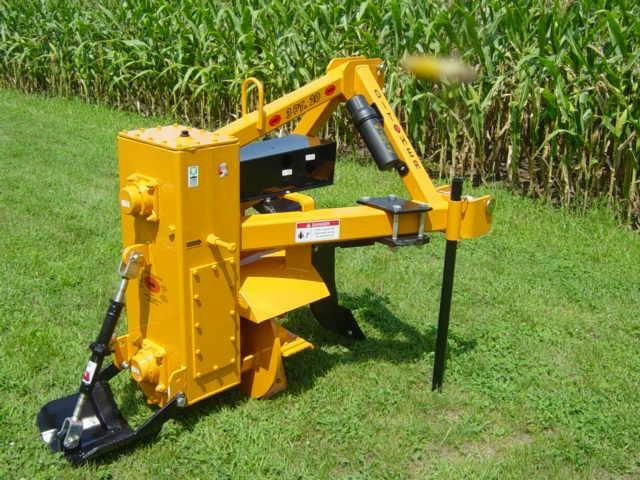 It can be used with Cat II or III quick hitch by moving the bushings to the desired location. The 3-PT 20 has a 20\" 6-paddle impeller (digging wheel) with hard-surfaced paddles that are designed to be resurfaced as they wear. 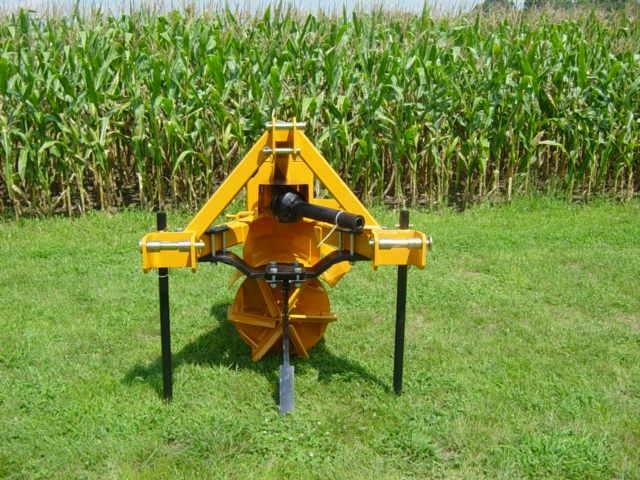 An optional ripper tooth is available for running in extremely hard or rocky conditions. The optional deflector shield allows soil to be placed 4\' to 8\' from the machine to build a diversion or small terrace. The deflector shield can also be used to fill ditches washed along outer edges of waterways. Also available for the 3-PT 20 is an optional 18\" cutting edge with shear bolts, 20\" impeller and 4 replaceable hardened paddles with shear bolts. The cutting edge slices soil loose, reducing shock and vibration on the impeller and other moving parts, maximizing machine life. 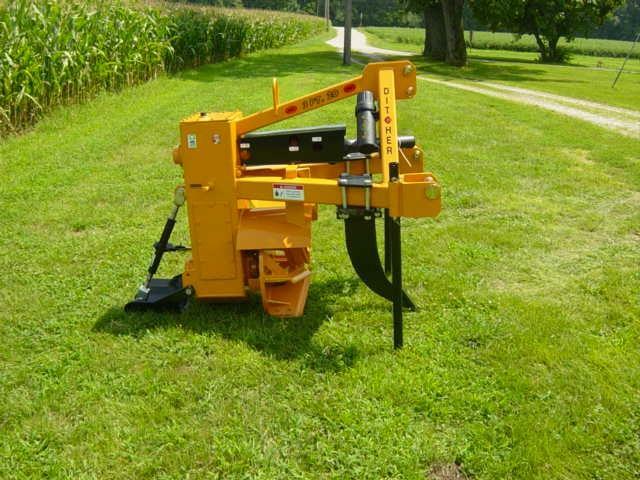 It also allows for multiple passes to widen or slope your ditch. 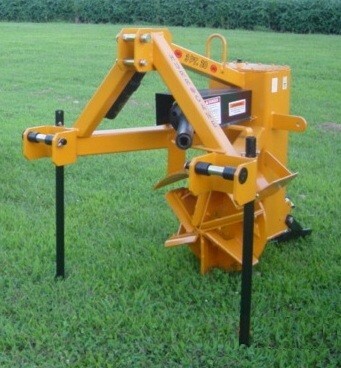 The 3-PT 20 can be used in any soil condition and is ideal for running in extremely trashy or wet conditions. More paddles on the impeller results in less shock on the ditcher and tractor resulting in smoother ditching and increased machine life. 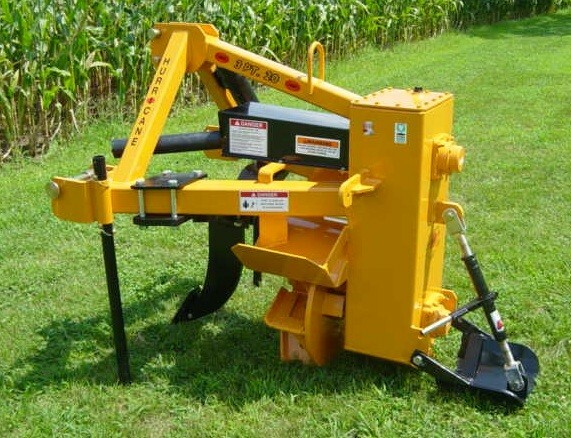 The rear shoe (dragplate) gives the machine stability, helps prevent gouging, and helps form the ditch in loose or wet conditions. A heavy-duty ratchet jack is standard for adjustment of the dragplate. The gearbox components are easily accessible by removing the top or side cover plates. The gearbox consists of large shafts, heavy-duty sprockets and bearings, and double 80 roller chain; all enclosed and running in an oil bath. The external idler adjustment is used to maintain proper chain tension. Soil is thrown out the left side and may be distributed over a 50 foot area; rocks and other debris may go farther. Depth of cut: up to 10 inches in a single pass; up to 20 inches in multiple passes with standard 20\" 6-paddle impeller; up to 16 inches in multiple passes with optional 15\" 5-paddle impeller. Options for the 3-PT 20: 15\" 5-paddle impeller; ripper tooth; deflector shield; 18\" cutting edge with 20\" 4-paddle impeller; 540 RPM PTO.